Should I move my business phone systems to the cloud? If you’ve been asking yourself this for a while now, don’t worry you’re not alone. Business owners all over the world are pondering the very same question, but lucky for you, we have all the answers you need about cloud telephone systems right here. We’ve put together a list of FAQ which we think will help you when deciding if a move to the cloud is the right choice for your business. However, if you already know that cloud is where you want your business to be and would like to discuss your options, then please either give us a call or fill in the quote form on the right and one of our team will get back to you soon. what are cloud telephone systems? Cloud phone systems are a Voice over IP (VoIP) based business telephone platform that is hosted in the cloud. This basically means that the telephone system processor is located in a secure hosted environment offsite as opposed to being in your data cabinets or fixed to the wall onsite in your business. can i integrate my cloud telephone systems with my software applications? Our cloud telephone systems are built on industry standards so you can take advantage of pre-existing integrations to such applications as Outlook, Salesforce.com, Desk.com and many more. Your employees will never miss a call as you can integrate your business mobiles with your fixed lines and your callers will only need to dial one number to reach your desk phone and mobile phone simultaneously, with a shared voicemail box for both. 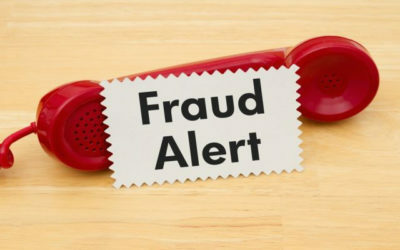 are cloud telephone services secure? With cloud telephone systems, security is handled by the provider who you pay a monthly service fee to host the equipment for you. This means the maintenance and security responsibilities are put into the hands of trained, dedicated professionals who specialise in areas that your IT department might not. As a provider of cloud telephone systems, we are dedicated to running a secure service so you don’t have to. how scalable are cloud telephone systems? Our cloud telephone systems can be quickly configured according to your organisation’s changing requirements. They take advantage of the flexibility provided by cloud communications to ensure your business can make scalable adjustments to your system whenever you need to. It’s completely modular, so you can start off small and as your business grows you simply add more phones to your system. In most cases, it really is as simple as buying the phones and just plugging them into the internet. is it true i can work from anywhere with a cloud phone system? With cloud telephone systems, you can quickly configure the system in accordance with your organisation’s changing requirements. Our phone systems provide a range of services which enable flexible work environments such as hot-desking and home working and can even extend the service to mobile devices. 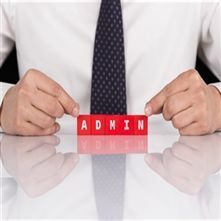 It’s perfect for homeworkers or staff who need to work from different locations as you can deliver business phone extensions so employees that work in various locations can simply plug their handsets into any Internet connection and continue to use it as if they were in the office. VoIP cloud phone systems are managed from an easy to use web portal giving you the ability to manage your entire phone system from anywhere and on any device. will a move to the cloud be expensive? 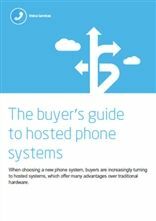 No matter what your call volume and usage, it’s almost guaranteed that a cloud based phone system will cost you less each month than a landline service. 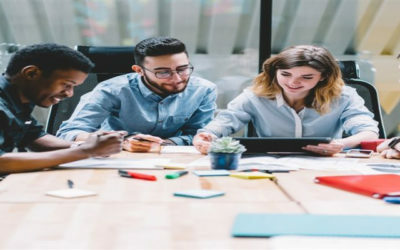 A major benefit of cloud communications is that there is no major hardware investment, no maintenance and no additional financial costs to consider. With our cloud telephone systems, you get state-of-the-art technology with an easy to manage monthly subscription based on number of users. You can even reduce costs on travel by combining your office phone system with cloud video conferencing applications. are cloud telephone systems suitable for any size business? 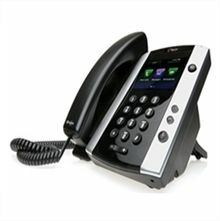 Our VoIP cloud telephone systems are ideal for any sized business with a good internet connection. It’s is highly effective in organisations that have more than one site that work together. The system is capable of serving hundreds of employees all operated through an easy-to-use web interface. It doesn’t matter if you’re a small business or a 500-person enterprise spread across many offices, our cloud telephone systems offer many benefits to businesses. will call quality be affected if i move to the cloud? Call quality with cloud-based phone systems often matches or even exceeds call quality with landline services. In fact, a properly configured network accounts for any issues that may arise and any network elements between the phone and your provider should have quality of service configured. The only real requirement for your cloud telephone systems is to have a good enough bandwidth speed in order sustain high-quality voice calls. can i keep the same phone numbers? Yes you can! When you move to cloud telephone systems you will get the option to port your current number over with you when you move. This means your telephone calls can be routed to anywhere you have an internet connection so your customers will always have trust that they’re speaking to the right organisation. what features can cloud telephone systems offer my business? Features like call forwarding, adding or transferring numbers from one location to another are stress free and simple. Cloud telephony is the future for high performance, success, efficiency and cost effective business telephone systems. 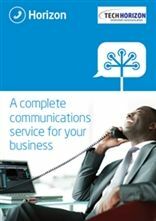 Better decisions require the best model and with a Tech VoIP Cloud telephone system you can improve the way your organisation communicates and change the way you do business for the better. Established in 2001, Tech Advance is a specialist service provider of cloud telephone systems, IT support & business telephone system solutions. We can design communication systems that integrate with the latest technology available; our Tech Horizon solution is an easy-to-use, complete communications service that is flexible, cost-effective and can be tailored to your specific requirements. As a leading supplier of cloud telephone systems for small business, we pride ourselves on delivering first class customer service every time and promise to deliver on time, agreed solutions to all of our customers throughout Lancashire, Merseyside and the Northwest in the following areas: Blackpool, Preston, Southport, Liverpool, Manchester, Bolton, Bury, Wigan, St Helens, Blackburn, Burnley, Leeds, Warrington, Stockport, Oldham, Chester and Salford, however please do contact us wherever you are based as we can support clients anywhere in the UK with your cloud telephone systems.